Following a successful first year, a new group of runners will share their journey over the next 12 months. Launched in 2018, the ‘Fast 10’ is a special feature on Fast Running that offers readers a glimpse into the lives of a group of athletes at different stages in their running careers. Each runner has the opportunity to share their story throughout the year which can cover race targets, advice, training insights, balancing running with life, work and studies, plus a wide range of other things. After a successful 2018 – with some insightful journeys – it is now time to introduce the ‘Fast 10: class of 2019’. 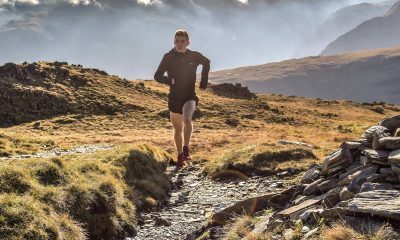 Young Scottish and GB mountain runner Jacob Adkin earned a top six finish at the World Mountain Running Championships in 2018 and will document his off-road jaunts fuelled mostly by coffee – which should make interesting reading! 800m specialist Alex Bell had an impressive 2018 season which included finishing fifth at the Commonwealth Games and breaking two minutes for the first time. Did you know she used to compete at a high level in ballet and tap dancing? Natasha Cockram had a breakthrough performance at the 2018 Dublin Marathon. 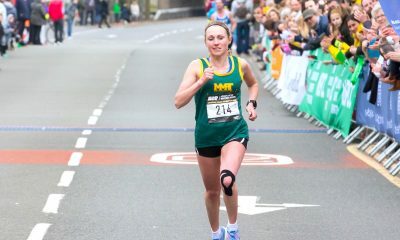 The Welsh runner now has big ambitions for the next 12 months after overcoming injury challenges. 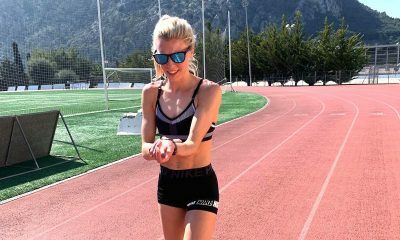 Young English distance runner Hannah Irwin is currently studying Creative Writing and can hopefully lead by example with her blogs. The Guildford and Godalming athlete is keen to share the ups and downs of the sport to help others stay motivated and inspired. Orienteering is Kris Jones’ first love but he is also an established distance runner who continues to impress whether it’s track, road or cross country. The Welshman, who based in Scotland, recently completed a PhD studying the biomechanics of the golf swing, however, he’s never actually played a round of golf himself. Nomadic Holly Page, who is originally from West Yorkshire, is forever on an adventure and over the last 12 months has travelled the world competing on the mountains and trails – winning a ‘few races’ along the way too! Glasgow based Fionnuala Ross, who is originally from Northern Ireland, returned impressively to the track in 2018, improved her road PBs and also won bronze at the Irish Cross Country Championships. Amongst her goals this year, the Armagh AC/Shettleston Harriers athlete aims to have another crack at the marathon. Daniel Rowden announced himself on the big stage in 2018 by competing in his first Diamond League meet and at the European Championships. The middle-distance athlete, who is also a full-time student, has his eyes on the British 800m crown this summer. Next up, Irish long distance athlete Stephen Scullion will chart his journey as a full-time athlete based in the heights of Flagstaff, Arizona. The new podcaster will surely have some top advice to share as he works towards his marathon goals. 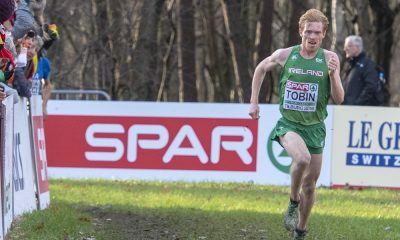 Last but not least, is Irish middle-distance runner Sean Tobin. The 24 year-old recently returned home after an athletics scholarship stateside and should provide interesting insights as adapts to life back in Ireland while chasing his targets. 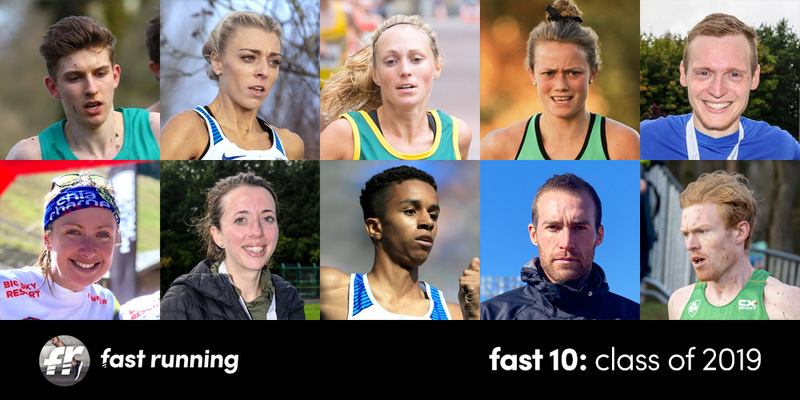 Everyone at Fast Running would like to thank each member of the ‘Fast 10: class of 2019’ in advance for agreeing to share their journey this year. Over the next week, each runner will be introduced in more detail, so be sure to visit fastrunning.com to find out more.